So you’ve written a Strong Female Character (SFC) into your show. And in the pilot, she’s badass and doesn’t need anybody and super duper cool. She’s strong, at least a little likable, and easily equal to if not better than the boys. Good job. But if you’re writing a TV show, then eventually you’re going to have to make this character grow. Because that’s what people do—we grow. If your character’s already empowered, however, you might have to think outside the box a little in order to make her expand as a person. Which is where Farscape comes in. By far one of the strangest and best bits of science-fiction to have been created in the past 20 years, Farscape (which aired in the early 2000s) follows astronaut John Crichton (Ben Browder) as he accidentally flies through a wormhole and is trapped in the far reaches of unknown space. He bumbles aboard an escaping prison ship, and becomes enmeshed with the lives of the prisoners, and with the Peacekeeper who is considered “contaminated” by his presence and decides to go with them. 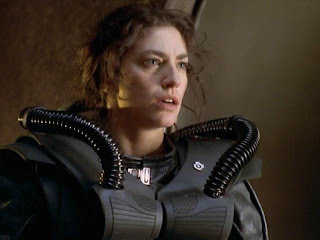 Claudia Black is also an awesome actress. 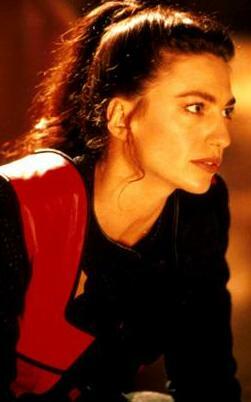 That character is Aeryn Sun. 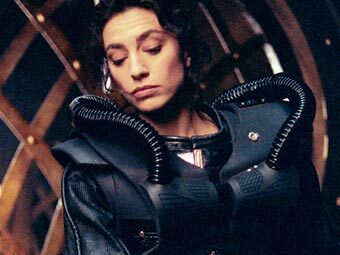 When Aeryn makes the decision to go with the prisoners on Moya, their living ship, she does so partly because she doesn’t have a choice. She’s as much a fugitive as they are. Because Peacekeeper law is so strict, and Aeryn has been locked in a cell with Crichton, an unknown species, she is irrevocably contaminated, and to stay would mean death. Aeryn chooses life, even if it takes her a while to get comfortable with it. For the first season or so, Aeryn’s a rather uncomfortable addition to the crew. She’s one of their former jailers, now stuck with them, and with a superiority complex the size of the moon. 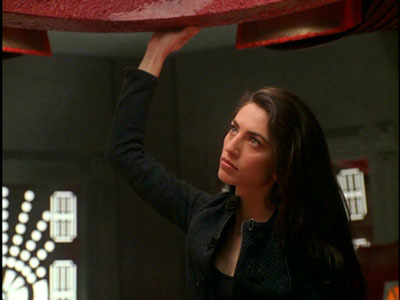 But slowly, fantastically slowly, Aeryn starts to thaw. She bonds with them, argues with them, and most of all, learns to respect them. They, in turn, discover that in addition to being a Peacekeeper, she’s a fantastic pilot, has a great memory, and is capable of being very compassionate, even if she prefers not to show it. And she and Crichton slowly fall in love. It’s one of my favorite things about the show, because even though the pairing seems obvious from the start (the only two human-looking people there), it’s organic. At first, they can’t stand each other. Then they grow to be friends. Eventually, there’s some mutual trust thrown in. 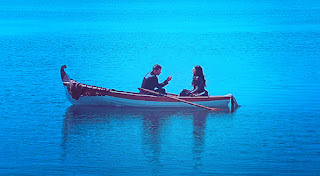 And by season four, they are so thoroughly intertwined that we have Crichton proposing and Aeryn discovering she’s pregnant. It’s a slow burn, and it’s well worth it. Over the seasons, we watch as Aeryn becomes more a person and less a Peacekeeper. And that’s the key to making a SFC grow, when it comes down to it. Do it slowly, and do it organically. Characters are only interesting insofar as they are broken. A completely okay person is a terrible character, because they have no nooks and crannies of the soul into which the audience can crawl and explore. You should watch this show. Do it. Sometimes, people find this to be a problem with SFCs. If the woman is already strong and empowered, then what else is there for her to become? Well, as it turns out, there’s a whole host of things, and getting there is the interesting bit. Aeryn starts off as a perfectly capable person, that’s never in question. What does develop, though, is her ability to relate to other people. To see them as more than tools or prisoners, but as fully complete beings like herself, with feelings that should be valued and thoughts that might be helpful. Aeryn is incomplete because she’s cut herself off. She grows as she accepts her place in their makeshift family, and she becomes nearly complete when she’s able to open herself enough to have a romantic relationship. Aeryn is growing and learning and changing, and she’s not done, not by a long shot. That’s how you make an SFC interesting. You take their root flaw, and show how it destroys them. Then you build them back up again, better than before. Totally agree with you, Debbie. 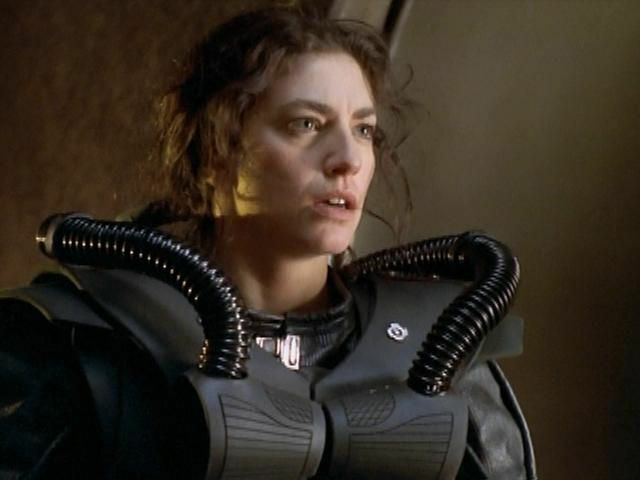 There are puppets, and spacemen and gorgeous make up and effects, but what really set Farscape apart for me was the character of Aeryn Sun and Claudia Black's portrayal. It's a deconstruction, taking a person who is seen in her own culture as competent and admirable, disassembling her pre-conceived notions and then building her into a stronger person. If you do any rewatches, it's easy to see how each episode, especially early on, makes a point of showing Aeryn how crappy the Peacekeepers really are. maybe it's blasphemy but, for me, she's the tormented soul at the center of the show. I definitely agree about that. For me, the moment she became the most interesting character was the episode when she was implanted to become like Pilot. It played on her loneliness and isolation, to show how much she really needed the crew, and how much they needed her as well.